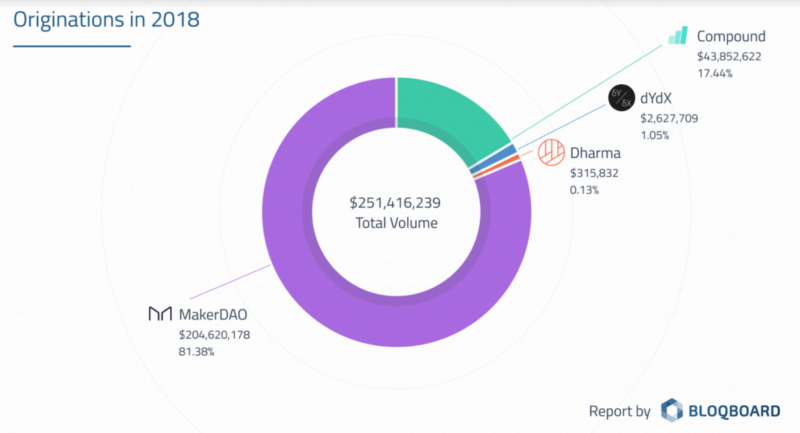 The four major lending protocols (Compound, Dharma, dYdX, and Maker) cumulatively processed (sum of borrows and loans) over $251 million in originations, with Maker driving 97% of active loans outstanding (~$71.8 million outstanding). 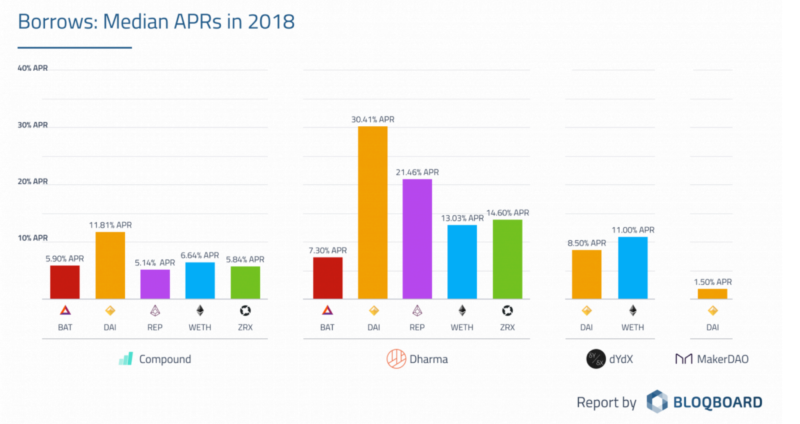 Avg APRs were widely dispersed across the protocols given borrowed asset, with the lowest APR set for DAI through MakerDAO (ranged from .5% – 2.5% in 2018) and the second lowest APR for WETH at ~6% through Compound. Collateral ratios varied greatly as well, with Compound north of 700%, Maker at 380%, dYdX ~160%, and Dharma holding the lowest at ~120%. The ratio of borrows liquidated (total volume of borrows liquidated / total borrows) came in at .66% for Compound, ~7% for Dharma, and an eye watering 25% for Maker (with a 13% liquidation fee to boot).